Simon Mawhinney’s work as a composer has a notably international focus, with high profile musicians in Germany, France, Iceland, UK and elsewhere regularly collaborating with him on new projects. His music ranges from quietude to frenetic exhilaration and draws on a wide range of contemporary influences: from complexist music to the colouristic harmonies of post-spectralism to the cantillation of numerous cultures. He has a particular interest in the music of Boulez and Messiaen, regarding the former’s Derive 2 as a pinnacle of contemporary music. 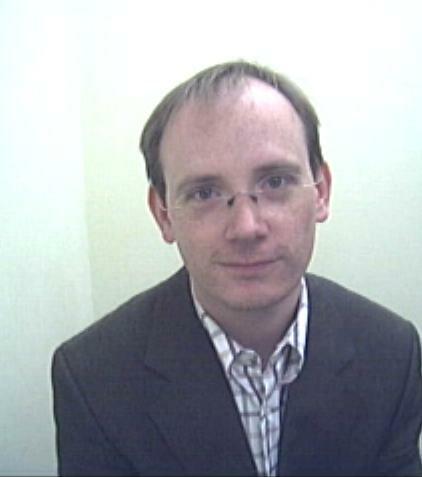 He has performed Messiaen’s piano work Vingt Regards and will begin teaching a new module about Messiaen’s music in 2013. Indeed, his fondness for including performance in his work both as composer and lecturer was recognized by in 2012 by a Queen’s University Teaching Award. Recent composition projects have included Hunshigo for violin and piano (recorded for Altarus Records by Darragh Morgan and Mary Dullea), Perseid (commissioned by Ensemble Recherche, Germany), Starbog for chamber orchestra (commissioned by Ensemble Caput, Iceland). Mary Dullea has recently recorded his 55-minute piano work, Marlacoo, scheduled for CD release in late 2013 and Kolbeinn Bjarnason will record his sequence of piecesfor bass flute and computer in 2014. In early 2013, Simon Mawhinney was awarded a period of study leave to focus on the completion of a nine-movement work for viola d’amore and string quartet – believed to be the first work written for this particular grouping of instruments. This work was commissioned by Garth Knox and Quatuor Béla, and will be premiered in Paris in November 2013. Composition (instrumental and electronic media).